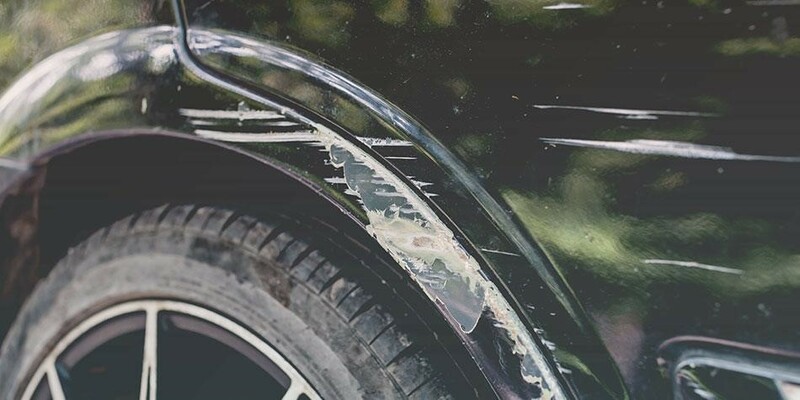 Damage to your car can include interior damage (stains to cloth, damaged leather, scuffs and scratches to the steering wheel and dashboard) as well as exterior damage (dents and scratches to the body, damaged paintwork, tyre wear), both of which can be caused by neglect, road traffic accidents or just old age. The good news is that even if your car is not in the best condition, you are still able to sell your damaged car to us. All we ask is that you remember when filling out our free car valuation forms to declare your damage in as much detail as possible. The damage you enter will not impact the guide price we offer to you. This will be considered during your appointment where we will always carry out a full on-site appraisal. We believe an on-site appraisal is fairer for both parties rather than an automated system, mainly because the perception of damage and repair costs may differ from what is actual. It really should go without saying, if your car’s bodywork is in excellent condition, the value of your car will be much higher than if it is damaged. It is worth bearing in mind one door panel on a car could cost at least £200 to paint. If your vehicle has been involved in a motor related accident and you decide that you want to sell your car, you may be asking yourself the question ‘who will buy my car?' WeWantAnyCar.com will offer you a fair price for your vehicle, subject to an on-site appraisal at one of our branches. Simply request a valuation using our website, answering all questions truthfully and in as much detail as possible. Book yourself into one of our nationwide branches and turn up on your appointment date. We will assess your vehicle and then make you a formal offer. We will also purchase vehicles that are insurance write offs. If your vehicle has been involved in a vehicle collision you may be informed by the insurance company that the car is a write off. Essentially, this means that the vehicle is beyond economical repair. This most certainly will affect the value we provide. Please note that we perform a HPI on every vehicle we purchase and this report clearly indicates to us whether the vehicle has been involved in any insurance claims.